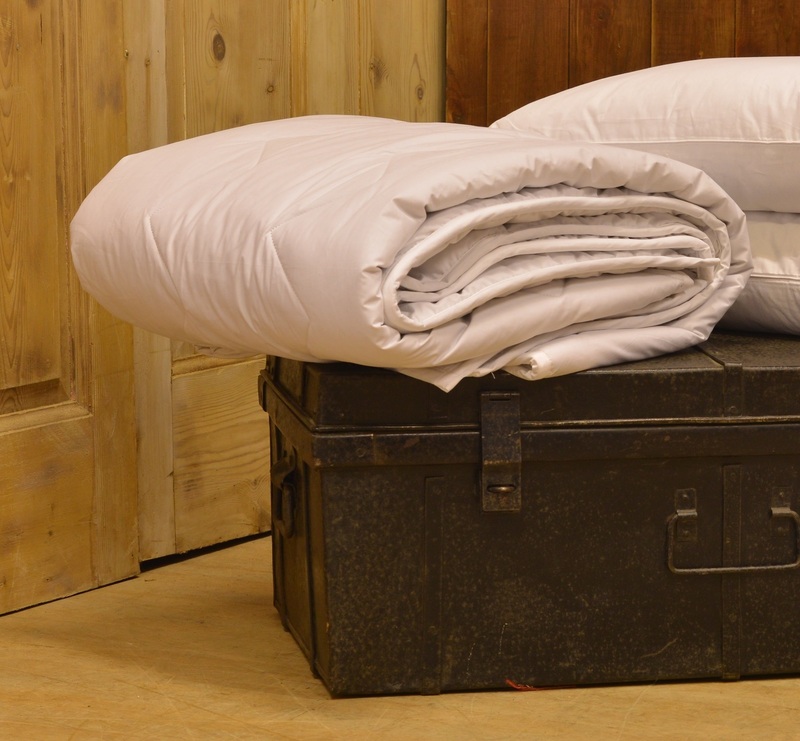 This luxuriously soft Natural Wool Winter Duvet from SlumberSlumber offers the perfect balance of support and comfort. Handmade in Nottinghamshire by Penrose and lovingly filled with 100% sheep's wool fibre, this duvet works in harmony with your internal thermostat to regulate your body temperature and ensure you enjoy a comfortable night’s sleep. It also draws moisture away from the body, so you no longer experience that clammy feeling being too warm in bed can bring. These qualities make this Penrose natural wool duvet an effective way to enhance the quality of your sleep. It is also a good choice for allergy sufferers as wool fibre is naturally anti-allergenic. The fibre creates a cool, dry environment which makes it difficult for dust mites to survive, so this deters triggers and helps you to get a more restful night’s sleep. What is the equivalent top rating of this duvet please? 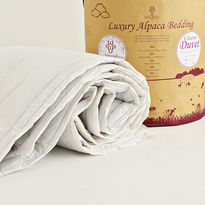 The alpaca duvets are not tog rated as the alpaca regulates body temperature making the duvet a duvet for all seasons. The duvet is handmade in Nottinghamshire by Penrose and lovingly filled with 100% English sheep's wool filling.The wool fibres are purchased under the Platinum wool certificate, guaranteeing traceability. The duvet is chemical free and completely natural.